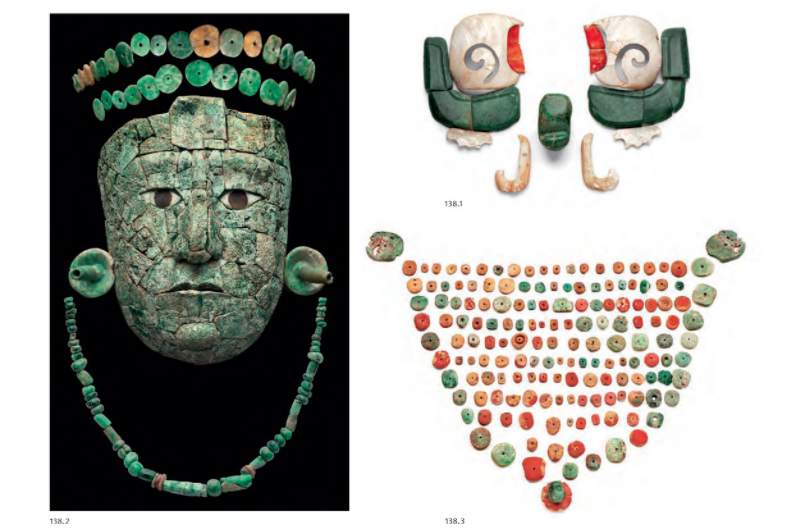 The entire burial offerings of Maya Queen Tz’akbu Ajaw, formerly known by the nickname of “Red Queen”. Photo Credits: Abril Buendía, Prensa, INAH. Click to enlarge. The entire funerary art of the Maya Queen’s grave was carefully reconstructed by a multidisciplinary team. At the moment of publishing this report, it is displayed at the J Paul Getty Museum in Los Angeles, USA, as part of the exhibition “Golden Kingdoms”. On the 28 of February 2018 (Kin 21), the same exhibition will be opening to the public at the Metropolitan Museum of Art in New York City. The official video by INAH in Spanish was also uploaded on Kin 239 (5 Storm) of the Wavespell 19 of the Blue Eagle. The Divine Synchronic Order shows that the dates and numbers of these announcements are of relevant prophetic significance according to the Galactic Maya Prophecy of the New Time envisioned by Valum Votan and Bolon Ik. As mentioned above, INAH official press release came out on 17 January 2018 Dreamspell Kin 239 (5 Storm), current Wavespell 19 of the Blue Eagle in the Dreamspell Count. Kin 239 (5 Storm) is the Unified Kin of Lloydine Bolon Ik when analysed through the radial perspective of the Realtime (Maya Long Count) and the Dreamtime (Dreamspell Count). Dreamspell date of Birth: Kin 22, White Solar Wind, Wavespell of the Wizard. The opening date for this unprecedented exhibit of ancient art in New York City is February 28, 2018, Dreamspell Kin 21, Wavespell 2 of the White Wizard. NYC is a relevant city within the prophetic ministry of José and Lloydine Argüelles because of the Harmonic Convergence, the Banner of Peace International and the fall of the Twin Towers on 9-11, amongst others. February 28, 2018, Kin 21, marks the eve of Bolon Ik’s 105th Galactic Return. 105 is a key Telektonon number (Solar Year 365 – Tzolkin 260 = 105). Therefore, it is a Realtime-Dreamtime manifestation because the Realtime (Maya Long Count) is a measure of 365 days (Haab) and the Dreamtime (Dreamspell Count) is a measure of 260 days (Tzolkin). The difference between them is 105, the upcoming Bolon Ik’s Galactic Return. 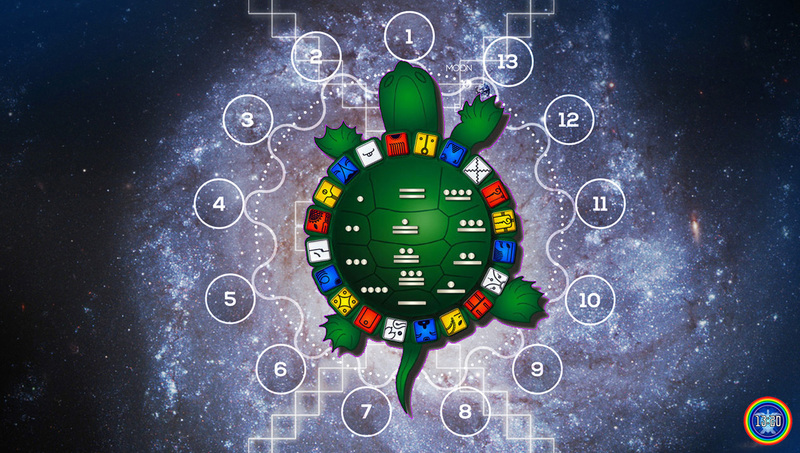 28 is the number that codes the female fertility cycle, represented as the 28 lunar mansions within the Telektonon Journey Board. 28 February (2.28) corresponds to Day 22 of the 8th (8.22) Moon of the 13-Moon year on Kin 21 (8 Dragon): A Magic Turtle Day! 28 February 2018, corresponds to 1 Men (1 Eagle) in the Long Count (Traditional Maya Tzolkin). 1 Men = Kin 235, Wavespell 19 of the Blue Eagle, which is precisely the Dreamspell Wavespell we are currently transiting. 28 February 2018 marks exactly 118 days after the conclusion of the “Dreamtime Telektonon of Valum Votan and Bolon Ik” (3 November 2017, Kin 164, Galactic Seed, LC Tzolkin 1 Etznab = Kin 118). Kin 118 is the Ascension Code of Pacal Votan (Alpha Kin 60 + Omega Kin 58 = Kin 118). As we publish this report, it is already January 18, 2018 (1.18). 28 February 2018 marks 5 Years since the unprecedented resignation of Pope Benedict (KIN 133) as pontiff of the Roman Catholic Church. This set of synchronic signals was foreshadowed by another relevant discovery associated with the Galactic Maya Prophecy and Kin 22, documented in detail in our blog entry: “Telektonon 65 Years of a Living Prophecy” (Kin 22, June 14th, 2017). EARTH SPEAKS: Activation of Prophecy 260 days ago, during the Wizard Wavespell. Full readout here. February 28, 2018, also corresponds to Day 218 of the 19:19 Crystal Matrix Solar Year and the 13 Moon Solar Year. Kin 218 codes the discovery of Pacal Votan’s tomb. As mentioned, the exhibition of the entire collection of Queen Tz’akbu’s funerary art will open on the next 28th of February, Kin 21 in New York City. Kin 21 (7+7+7) is a relevant Kin within the Galactic Maya transmission of Valum Votan (VV) and Bolon Ik (BI). Both archetypes came out from the Galactic Source of 21. On one hand, the mother of Jose (VV) was Kin 21 and, on the other, Kin 21 is the Tube of Origin (womb) of Kin 22 Lloydine (BI). 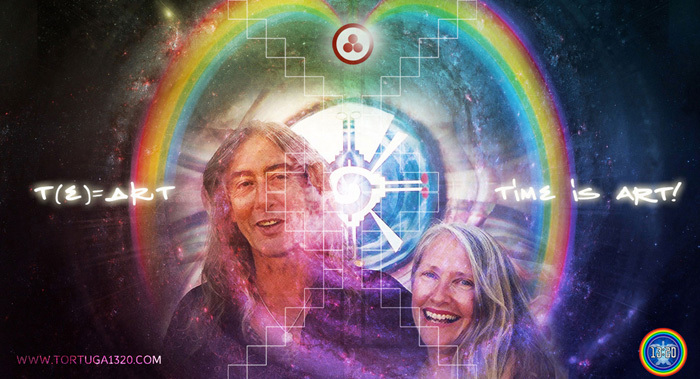 They married on the 21st of September of 1983 (Peace Day, Equinox and Full Moon) and their prophetic ministry lasted 21 perfect years (1981-2002). Also, Joshua (Jose’s son) was rotating as Kin 21 when he passed away. Therefore, the download of Jose’s book “Surfers of the Zuvuya” is fully connected to the same source of Kin 21. In the same way, VV was rotating as Kin 21 when the “inevitable event’ of 9-11 happened in 2001, the fall of the Twin Towers. In the same year, VV (rotating Kin 21) wrote his last bestseller book, “Time and the Technosphere” (released in 2002). Kin 21 (8 Galactic Dragon) can be numerically coded in ways that also reveal deeper layers of prophetic relevance. 1.8 (Seal 1, Tone 8). Code 1.8 is a fractal of number 18. The Queen Tz’akbu Ajaw ascended on LC Tzolkin 5 Etznab (Kin 18, Overtone Mirror). “The many inscriptions about Tz’akbu can also be found on “Passage 18” of the West Tablet in the Temple of Inscriptions, amongst many other Tablets and Stelae all over Palenque…” Learn more: https://goo.gl/FQpLMQ. This is also a good opportunity to remember that according to the INAH the skeleton found in 1994 on Temple XIII returned to Palenque on June 15, 2012 (KIN 18 – 5 Mirror) after 18 years of archeological research and tests outside of Palenque. The return of the QUEEN to her “home” occurred, after being identified by experts as the wife and not the mother of the Great Pacal. EXACTLY on the 60th anniversary of the discovery of Pacal Votan’s tomb. NOTE: 40 days later was DAY OUT OF TIME 2012, KIN 58, 6 Mirror, disincarnation Kin of Ascension of Pacal Votan. 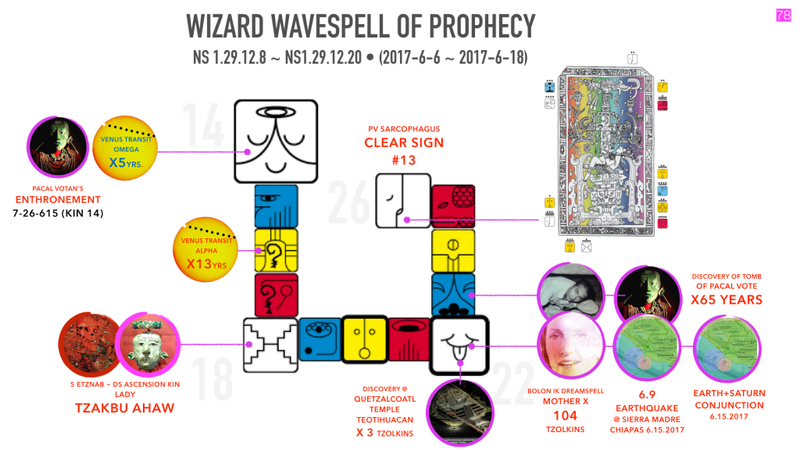 2.8 (Kin 21 is in the Wavespell 2 of the White Wizard, Tone 8). Code 2.8 is a fractal of number 28 which encodes the feminine nature of the New Time Prophecy (13×28) and Unit 28 in Telektonon, the Tower of Bolon Ik. Also, let us remember that in the past 12 of December 2017, it was 28 Years since the Discovery of the Law of Time by Valum Votan and Bolon Ik at the Museum of Time in Switzerland. Finally, Kin 21, coded 2.8, will synch with the opening of the exhibition on the 28th of February. As mentioned, this is the only month with 28 days in the Gregorian Calendar (excepting Leap Years). 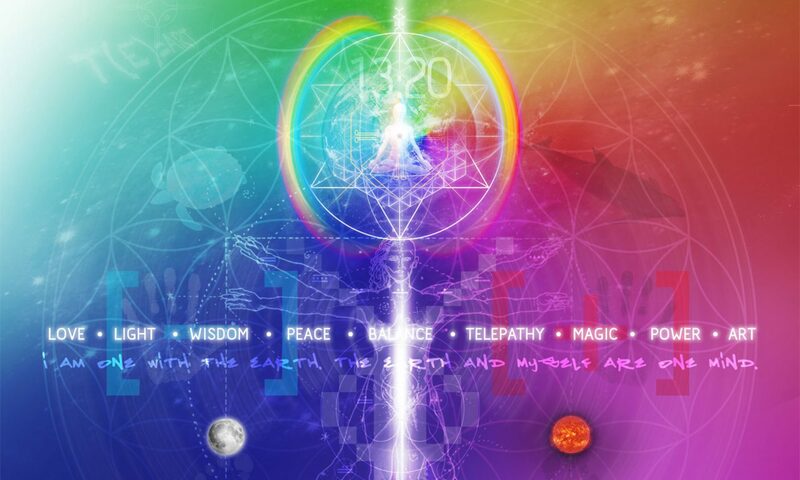 14.8 (Kin 21 is in the Wavespell of Seal 14 Wizard, Tone 8). Code 14.8 also codes Kin 34, Galactic Wizard (8 Wizard: Seal 14, Tone 8), a kin which represents the new Wizard Count of the Dreamspell and 13 Moon Calendar. Also, Code 14.8 is a fractal of number 148. 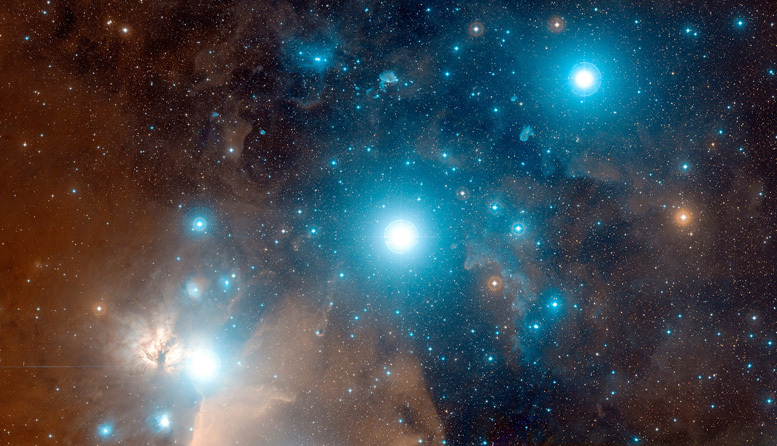 Kin 148 (5 Star) is 5 Lamat in the LC Tzolkin, the Kin of the Future Return Prophecy of Pacal Votan. 21.8 (Kin number 21 with the Galactic tone of 8). Code 21.8 is a fractal of Kin 218, the well-known kin of the discovery of Pakal’s tomb. The next 28 February 2018, Kin 21, coded 21.8, a fractal of Kin 218 will sync with Day 218 in the Solar Year. Furthermore, Valum Votan developed the 441 (21×21) Synchronotron Matrix in 2007. 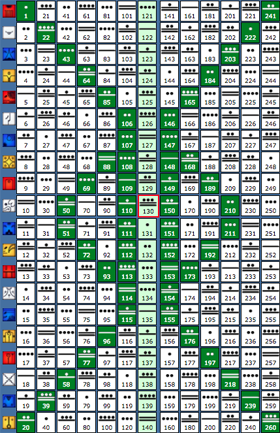 Later on, this 21 Matrix will allow VV to exit his prophetic Telektonon Warrior Cube. As demonstrated by the 19:19 Crystal Matrix, VV exited Synchronotron through Unit 81 which is akin to Unit 1 of the 19 Matrix. In other words, this was the prophetic “Lovers Reunion” of Telektonon Prophecy, otherwise known as Galactic Synchronisation 2013, the reunification of the primordial Galactic Maya archetypes (Pacal/Tz’kabu and Valum/Bolon Ik). Therefore, number 21 is the key to enter Unit 22 of Telektonon and dominate the Warrior Cube. Just then, the Warrior exits the Cube and passes to Unit 23, which is the Lovers Reunion. Precisely, the tomb of the Queen of Palenque was discovered and unveiled 23 Years ago (discovered 16 May 1994, unveiled 1 June 1994). We also know that in the same year of 1994, VV & BI received and transcribed the Telektonon of Pacal Votan and designed the Telektonon: Game of Prophecy (released in 1995). It is relevant to notice that this exhibit displays Lady Tzak’bu’s collar containing 164 pieces (163 beads + 1 carved little jade mask, see image below). Let us remember that Kin 164 (Galactic Seed) is the Kin that accurately encodes the new revelation of the “Dreamtime Telektonon of Valum Votan and Bolon Ik” as Truth. The Heaven’s Walk and Lovers Reunion (Unit 23) of the Galactic Maya Archetypes occurred on Kin 164, the Galactic Seed Synchronization of 26th July 2013. In perfect synchronicity, this occurrence is referred to as “the phenomenon of the Twin Pyramid Holograms of King Pakal and Queen Tz’akbu Ajaw,” according to the theory of the 19:19 Crystal Matrix (19 Matrix). As a Divine confirmation, and a testimony of the elegance and precision of the Synchronic Order operating through the Time and Space Matrices, the PSI Chrono Unit (PCU) resonating across the PSI Bank (telepathic memory bank) for this day of “Resurrection of the Queen of Palenque” corresponds to KIN 164! The Galactic Seed flowers again in New York City !!! Galactic Integrity: The collar of Queen Tz’akbu Ajaw contains 164 pieces (163 beads + 1 little-carved jade mask at the centre = 164). The PSI Chrono Unit for the opening day of this exhibit is KIN 164. The book of the exhibition, “Golden Kingdoms”, displays the funeral assemble of Queen Ix Tz’akbu Ajaw on page 218, synchronizing with its opening in NYC on day 218 of the year. “Scattered like galaxies on a crimson universe…” This is how the INAH describes the way that the Queen of Palenque’s hundreds of “beads and tesserae” looked. The opening on Red Galactic Dragon brings back the Integrity of the Galactic Birth Canal. The scattered parts of an ancient story of a Golden Kingdom are now returning to their place through Time and Space. Time is ART! It takes place on March 1st, 2018, the 60th day of the Gregorian Year. 60 corresponds to the base number of the 12:60 of artificial time frequency and analog frequency of KIN 60 = 8 Ahaw = Pacal Votan). It takes place during day 2 of the exhibit of Queen of Palenque’s funerary dress in New York (modern Babylon). It is worth remembering that this “Lovers Reunion” describes the archetypal redemption of the “Babylonian Planet” through time and space and that KIN 2 [2.2] is the unified frequency of the inauguration (ALPHA) and destruction (OMEGA) of the Twin Towers (modern Tower of Babel) in New York. It was precisely during moon 2 of this Crystal Seed year, coded with KIN 2 [2.2] when the the Warrior’s Cube redemption cycle was closed, after the completion of 16 years from the destruction of the Twin Towers (9-11-2001 KIN 251 ~ 9-11-2017 KIN 111). NOTE: The exhibition will come to an end on May 28, 2018 (NS1.30.11.27 • KIN 110) sealing with indisputable precision 260 days from 9-11-2017 and confirming the redeeming nature of this exhibition of Maya ART through Time and Space. Also, note that each of Twin Towers was 110 stories high! Tower of Babel redeemed once again by the Warrior’s Cube Journey of 16 years (2001-2017). “Babylon Planet: Name given to the modern civilization of exclusive materialism, the human mind captured by the 12:60 timing frequency, corresponds to the thirteenth Baktun, 1618-2012 AD, to be redeemed by the Telektonon.” – Telektonon Manual (Glossary) Find out more in this link. The wisdom of the Telektonon is profound. The timing of its release for our time represents an act of unfathomable compassion, of a love for humanity and truth so profound that it is truly miraculous! How did it come about, this prophecy and this game plan of telepathy? The tomb and temple decreed by Pacal Votan before his death in AD 683 are located directly across from the equally unique Palace and Tower of the Winds in fabled Palenque. If we were to listen to the stones, what secrets would they reveal to us? What would they tell us of Pacal Votan and the mysterious person commemorated at Palenque and known as Bolon Ik? Let us listen to the stones. They have spoken and this is their story, the Lovers’ Script. Pacal Votan and Bolon Ik are experienced planet tamers and time travelers. No dimension is alien to them. Their vanguard alliance as planet-taming explorers of the unseen sides of time has earned them awe and admiration throughout the Galactic Federation. At the heart of the alliance between Pacal Votan and Bolon Ik is the pact they have made with themselves to be lovers. In love with each other throughout the wild spectrum of adventures open to them, the ultimate challenge to the planet-taming, time-traveling lovers is still happening. Planet Babylon is the assignment. The planet you are living on is the place. The story sounds familiar: another planet lost in space, a forgotten planet, a planet without time. It has happened twice before, on Mars and Maldek (the destroyed planet known to you as the Asteroid Belt). Will it happen again on Earth, the next planet in sequence, now known as Babylon Planet? In this assignment our lovers agree to separation on two different planets of the same star system! Pacal Votan is on Earth. Bolon 1k is on Uranus. Both are Maya. They are expert in telepathy and mind manifestation. To learn more about Valum Votan’s and Bolon Ik’s archetypal interpretation of 9-11 as the enactment of the redemption of Babylon Planet please visit 9-11. The Fall of Babylon and the White Horse. reconstructed from the original Tortuga.com website, and originally published 2 days after 2001-9-11 on 2001-9-13, day 22 of the moon 2, KIN 253, 6 Skywalker. Actually, Valum used most of this decoding in his last bestseller book: “Time and the Technosphere” (2002). Throughout the different cultures of Mesoamerica, Quetzalcoatl has also been identified with the planet Venus and with the archetype of White Solar Wind (Bolon Ik • KIN 22), taking the name of Quetzalcóatl-Ehecatl in the Post-Classic period (Ehecátl is Wind in the Mexica-Nahuátl language). This is because, this Deity was born on a day 9 Ehecatl in Mexica language or 9 Ik in Maya language, equivalent to 9 Wind in English, Kin 22 in the Dreamspell. The discovery below the temple of Quetzalcoatl in Teotihuacán occurred 4 Tzolkins = 1040 days ago: Fractal of 104. Duration of one Venus Round (104 years). The Galactic Moon enshrining this “Lovers Reunion” is coded with KIN 8 [8.8] corresponding to the Venus Transit OMEGA Portal of 2012 and the Star Portal 8.8.8.8 of 2018. As mentioned above, the art exhibition displaying Queen Tz’akbu’s funerary dress will be closing its doors in New York on May 28, 2018, (NS1.30.11.27 ~ Kin 110), sealing in this way 1 Tzolkin from the 16th anniversary of the “Inevitable Event” and its archetypal redemption on 9-11-2017 • KIN 111, EXACTLY 260 days in the past… (See full report “PROPHECY, 9-11 AND THE END OF ARTIFICIAL TIME” published on that same day …) Reminder: Each one of the Twin Towers was 110 stories high. It is worth noting here that this event will take place through Moons 9, 10 and 11 of the Crystal Seed year. 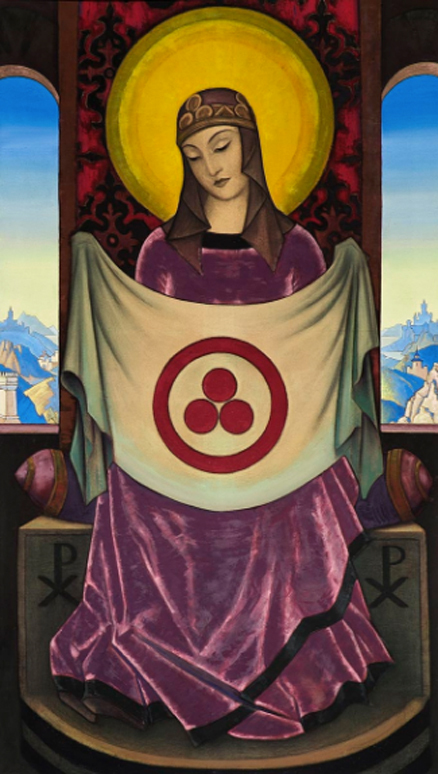 According to the 1KIN = 1MOON fractal count, these moons are coded with KIN 9– (10) –11 respectively, highlighting once again the prophetic and redemptive character of the exhibition. Let’s remember that KIN 9 (3×3) codes the historic Venus Transit of 2012 (OMEGA Portal of the 2004-2012 pair) as well as the 23rd anniversary of the discovery of Temple XIII on June 1st, 2017…. 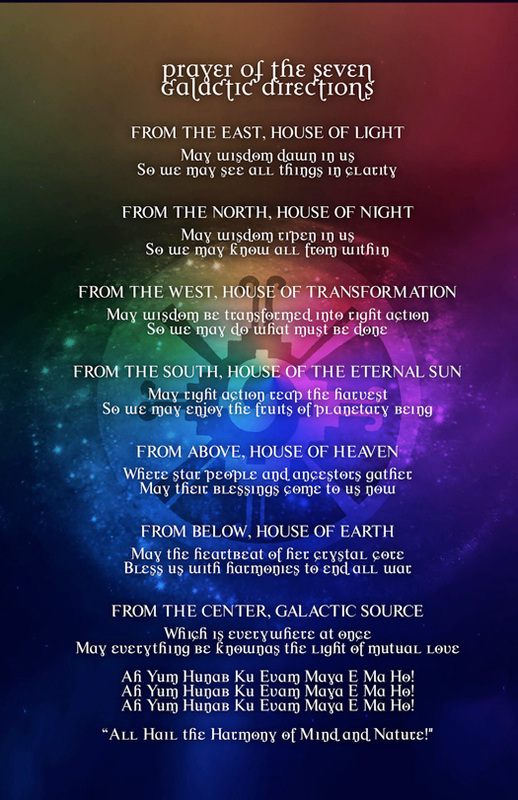 In a sublime manifestation of the redemptive power of the Dreamspell Codes, KIN 110, 6 Dog [10.6] also codes the Divine Feminine and some of its avataric expressions (Eve, Mary and the archetype of Queen Tz’akbu). This is due to the correspondence between KIN 110 within the Time Matrix (coordinates V12 H11), and its matching archetypal energy within the 441 Synchronotron Matrix represented as the “6th Messenger/Teacher of UR (Universal Religion)”. KIN 131 represents the Heart of the 260-day Sacred Tzolkin Matrix, since it is located at the radial core of the Harmonic 33 (22 + 11) the mystical portal that leads us into infinite parallel Multi-verses… (Note that the exhibition will be open to the public for an interval of 90 (3×30) days). The 33rd harmonic constitutes the navel of time that communicates us with the Center of the Galaxy via the Kuxan Suum (our inter-dimensional umbilical cord). Full blown Telepathic Redemption of the Inevitable Event @ New York City (modern day Babel) via the ALPHA + OMEGA of the exhibit showcasing the Ancient Queen of Palenque Art. • 110 stories high (110+110=220) • 2400.000 Square feet (12+12) • 16 acres (16-Year redemption cycle of 2001-2017). KIN 131 also marks the beginning (ALPHA) of the Monkey Genesis (Power of MAGIC) within the Galactic-Maya cosmology and also corresponds to the PSI Chrono Unit that every year codes the birth (ALPHA) of Valum Votán on the 15th day of the 7th moon located also at the exact core of the 13-Moon year. The official sources show that the archaeologists, anthropologists and epigraphists related to the discovery of the feminine tomb in Temple XIII, have been extremely cautious in order to confirm the identity of the buried queen. For the same reasons, they nicknamed her as “Red Queen” and established three possible candidates: the Grandmother of Pakal, the mother of Pakal or the only wife of Pakal. After 23 years of studies and tests, it is now evident that INAH fully attributes the identity of the queen to Lady Tz’akbu Ajaw. She was the only wife of King Pakal, otherwise known by her royal title of “Lady of the Succession” (2018, INAH). Precisely, that is the title given to her on the Temple of Inscriptions, Passage 18 of the West Tablet, a passage which is entirely dedicated to her. In the next Passage 19, it is also inscribed her ascension on 5 Etz’nab (Kin 18) and the Ascension of King Pakal on 6 Ez’nab (Kin 58). Unfortunately, José and Lloydine Argüelles didn’t know about all of these new discoveries and deciphering by the time they transcribed the Telektonon in 1994. In fact, during the prophetic Telektonon Warrior Cube of Valum Votan (2002-2011), he thought that the identity of the queen of Temple XIII was the lady Kabal Xoc from Yaxchilan (See page 11 of “Galactic Meditation” booklet by Valum Votan). Nowadays, it is known that Yaxchilan was a neighbouring kingdom of Palenque which became an ally of the Snake Kingdom of Kan (Kalakmul), the main enemy of Palenque Dynasty. It is probable that Valum didn’t know about this neither. The discipline of Maya Epigraphy wasn’t fully developed during his times, neither the inscriptions of Pakal’s pyramid were fully deciphered. On top of that, the experts in this subject never established Kabal Xoc as a possible candidate. However, it is crystal clear that the Queen of Palenque was discovered in sync with the Telektonon’s invocation in 1994. At present, it is also known that her tomb was discovered on the 16th of May, which is one day after the 51st Birthday of Lloydine Bolon Ik and Day 1 of her 52nd Solar Cycle. In the same token, Lloydine ascended on May 16th, 2014, EXACTLY 20 Solar Years after the discovery of the sarcophagus enshrined at Temple XIII, on May 16th, 1994 (INAH at Wikipedia en Español). 28-year Telektonon of Pacal Votan. Note that the ALPHA portal (unit 1) corresponds to the year 1991 coded with KIN 194 (12 Wizard) which in turn codes the discovery of the remains of the Queen of Palenque on June 1, 1994 (KIN 194) and that the OMEGA Portal (unit 28) corresponds to the year 2018-2019 coded by 13 Moon KIN 169 (13×13). As anticipated on Tortuga 13:20 report: “2017: The Alpha and Omega Year of Prophecy” from last Kin 222, the new Gregorian year 2(0)18 coded as an analog frequency of Kin 218 (10 Mirror, discovery of the Tomb of Pacal Votan), is starting with the emergence of more synchronicities and clues that will keep unveiling the Mystery buried in Palenque. After meditating upon these new numeric codes brought by Queen Tz’kabu Ajaw and the evident connections with Bolon Ik, Valum Votan and the Telektonon Prophecy; it is clear that the Divine Synchronic Order is confirming the Twin Archetypes and the Ascension of the Masters of the New Time, Valum Votan and Bolon Ik. From the other side of the veil, their signs are becoming stronger and more and more evident day by day. Kin 239 (19.5) is clearly the Kin that takes the command and empowers the Wavespell 19 of the Vision. May the People of the Dawn and the People of the Book manifest the Power of Vision to be able to see the change of paradigm. Let us remember that “the people without Vision, will perish” (Valum Votan). Galactic Maya PAN Report submitted by Itzadragon Kin 21 and RuBen Kin 113. All Dates of the Discovery of the Queen of Palenque. INAH at Wikipedia in Spanish. Remains of the Queen of Temple XIII return to Palenque after 18 years. 26 June 2012 (In Spanish). Tunnel and liquid mercury trail discovered underneath the Quetzalcoatl temple in Teotihuacan. 27 April 2015. INAH Announcement. (In English). Complete Funerary Art of the Queen of Palenque is displayed by the first time. 17 January 2018 (In Spanish). 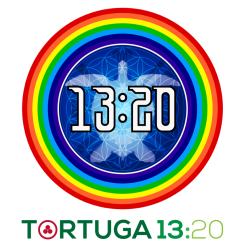 Tortuga 13:20. Galactic Maya Hologram: The Dreamtime Telektonon of Valum Votan and Bolon Ik. WordPress. 2 November 2011. 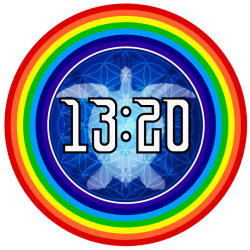 Tortuga 13:20. 28 Years since the Discovery of the Law of Time by José and Lloydine Argüelles. WordPress 10 December 2017. Tortuga 13:20. Kin 113. 2017: The Alpha and Omega Year of Prophecy. Wordpress 1 January 2018. Timesurfers. Kin 113. The Telektonon Factor: 65 Years of a Living Prophecy. WordPress. 14 June 2017. Galactic Feminine. Universal Ancient Wisdom from the Archetype of Queen Tz’akbu Ajaw. WordPress. 6 June 2017. Magusa Gar. Kin 34. The Journey Back to Square 1. Part 2: The Next of Kin. WordPress. 24 October 2016. Magusa, Gar. Kin 34. The Journey Back to Square 1, Part 5: The Initiation. WordPress. 9 December 2016. Magusa, Gar. Kin 34. The Telektonon Trinity: Part 4D, The Realtime Dreamtime Prophecy, WordPress. 2017. Magusa, Gar. Kin 34. The Telektonon Trinity: Part 5D, The White Queen, WordPress 2017. Itzadragon. Kin 21. 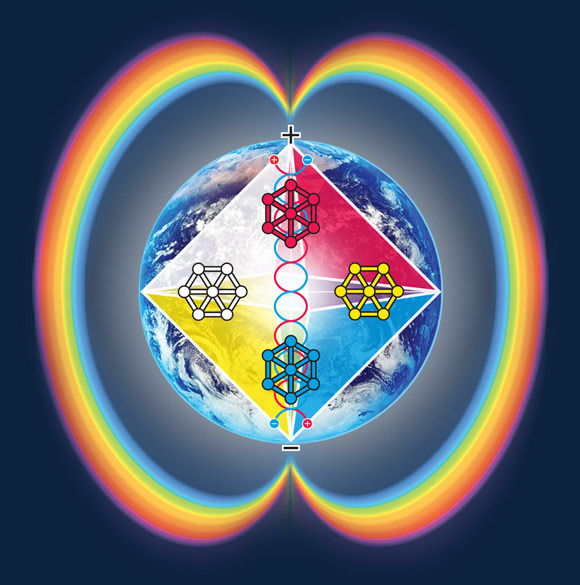 Ascended Master Bolon Ik: Dreamspell’s Divine Galactic Feminine. WordPress. 6 November 2016. Llinas, RuBen. Kin 113 Quetzalcoatl bites His/Her Tail: 9 Signs of a Living Prophecy – PART 1 PART 2 PART 3 GalacticSpacebook. September 9-13.2014. 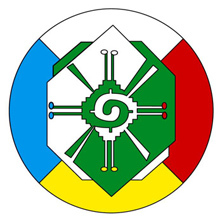 1993-1994, Telektonon of Pacal Votan. Interlink. 1994-1995. Telektonon: The Game of Prophecy. Interlink. 1996, The Discovery of the Law of Time. T(E) = Art. Planet Art Network. 1995 Press. Change from Mechanical to Natural Time by José and Lloydine Argüelles. Sedona Journal of Emergence. Galactic Maya Breaking News! 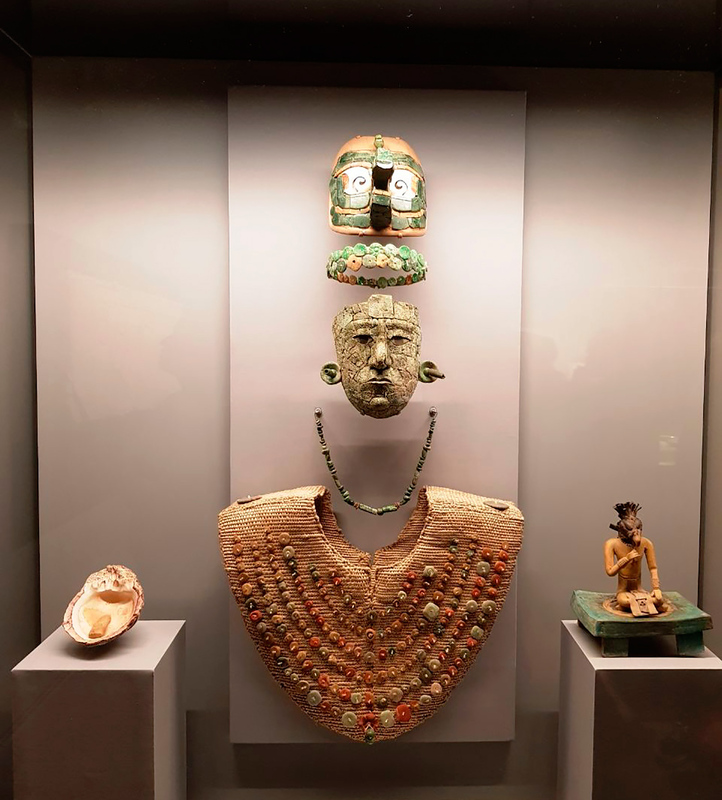 The INAH announced that the full burial regalia of Queen Tz’akbu Ajaw (Temple XIII, Lakamha’ Palenque) are now being exhibited to the public for the first time. The Divine Synchronic Order shows that the dates and numbers of these announcements are of relevant prophetic significance. 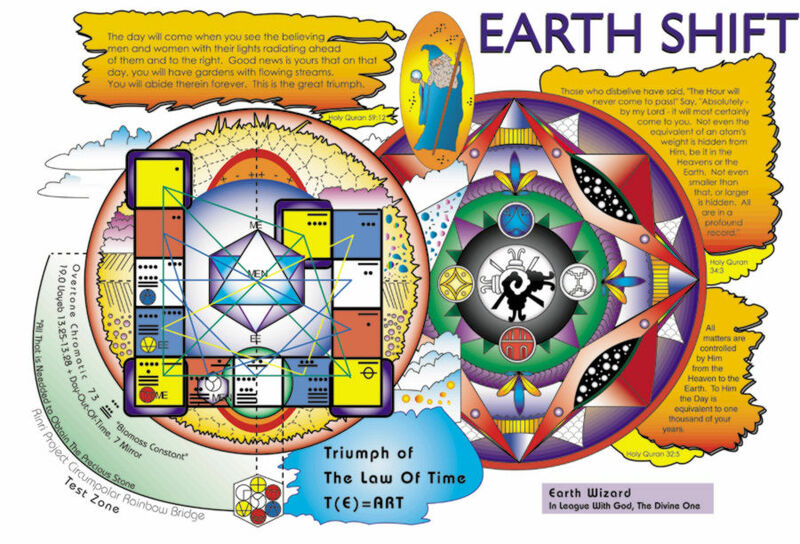 Today we are celebrating 105 Tzolkins since Lloydine Bolon Ik, White Solar Wind, Co-Founder of Planet Art Network and the World Thirteen Moon Calendar Peace Movement, Coauthor of Dreamspell: the Journey of Timeship Earth 2013 arrived to this world. And it was EXACTLY 260 days ago when we published “The Telektonon Factor. 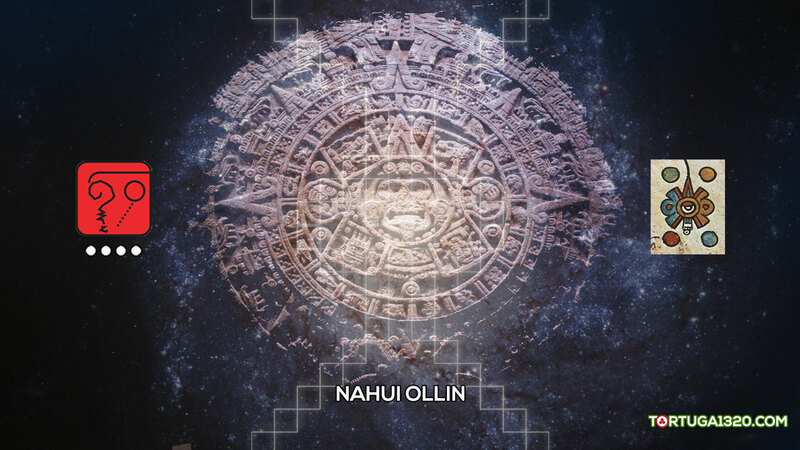 65 Years of a Living Prophecy” a report with complete set of new highlights and new revelations surrounding this Mayan Prophecy. It was originally published on KIN 239, perfect occult power of KIN 22.